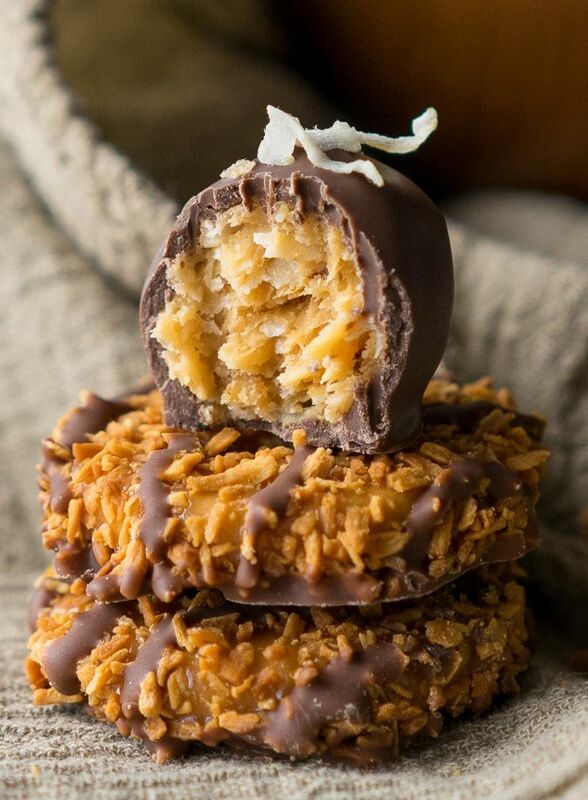 If you are a fan of the Girl Scout Samoa cookies then you are going to love the truffle recipe I found for you today — Samoa Truffles! 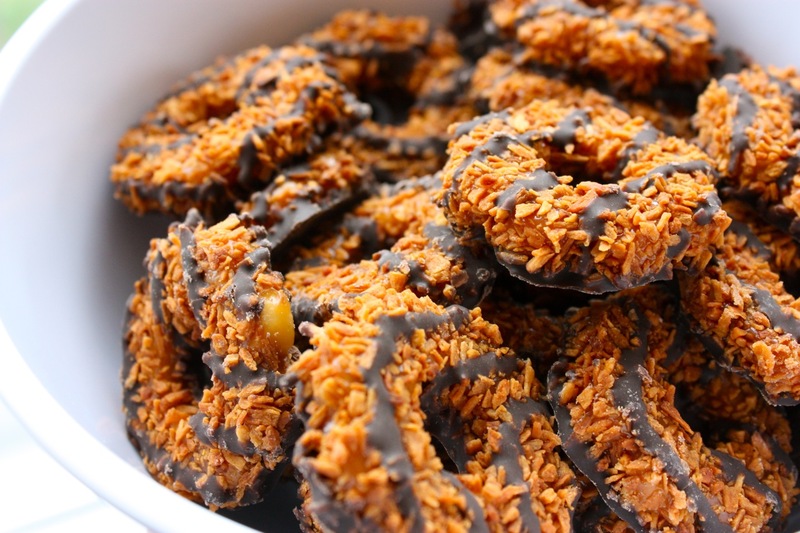 And yes, they really do taste just like the cookie, maybe even better. 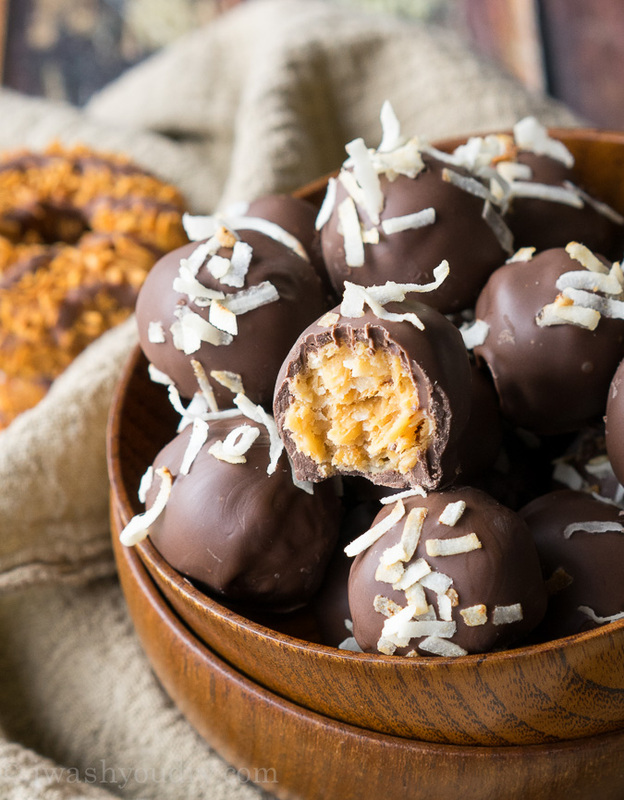 This Samoa Truffles recipe will make about 35 to 40 truffles. Bring a small pot, filled with an inch or two of water to a boil. Place the caramels, milk and salt in a metal or glass bowl and rest the bowl in top of the pot, so it’s not touching the water. Stir until the caramels become smooth and melted. Stir in the toasted coconut (reserving ¼ cup for later) and mix to thoroughly combine. The mixture will be really thick. Pour this out onto a wax paper lined baking dish and spread into an even layer. Let cool for several minutes until it’s cool enough to handle. Roll the caramel mixture into small, teaspoon size balls.